Cross Creek is a highly desirable maintenance free neighborhood in the gated East Lake Woodlands community ~ Come see this fully updated beautiful model-style home! The kitchen boasts wood shaker cabinets with Newada white granite and stainless steel GE Profile appliances. The much sought after floor plan design features an open spacious feel with beautiful dark engineered hardwoods, plantation shutters and crown molding throughout the home. The master bathroom features porcelain tile, a seamless glass enclosure around the shower, double sinks, and oil rubbed bronze fixtures, along with his and her walk-in closets. The home also includes a separate study/easy 3rd bedroom. Seller represents a $10k investment in 2017 for a top of the line Carrier AC system with a transferable warranty. Seller also represents an updated Lanai in 2018 with a new enclosure. 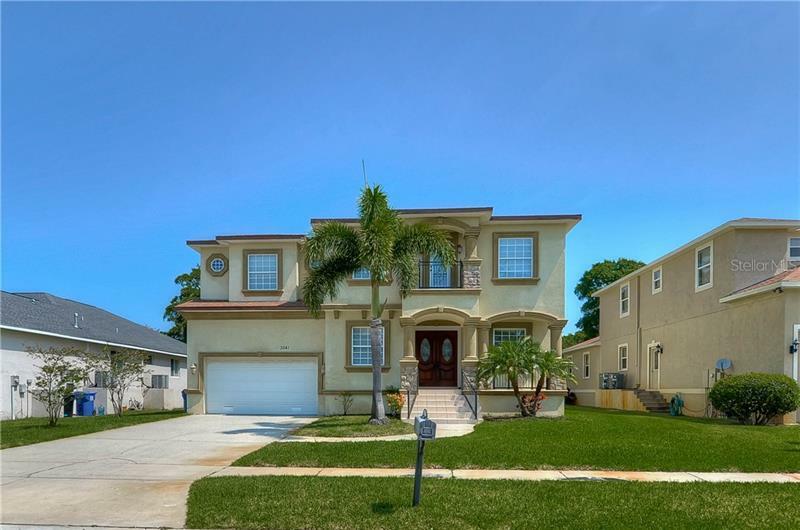 Call today to view this beautiful property in the heart of Oldsmar!